Kimmy Fasani is a force to be reckoned with in the world of professional snowboarding. 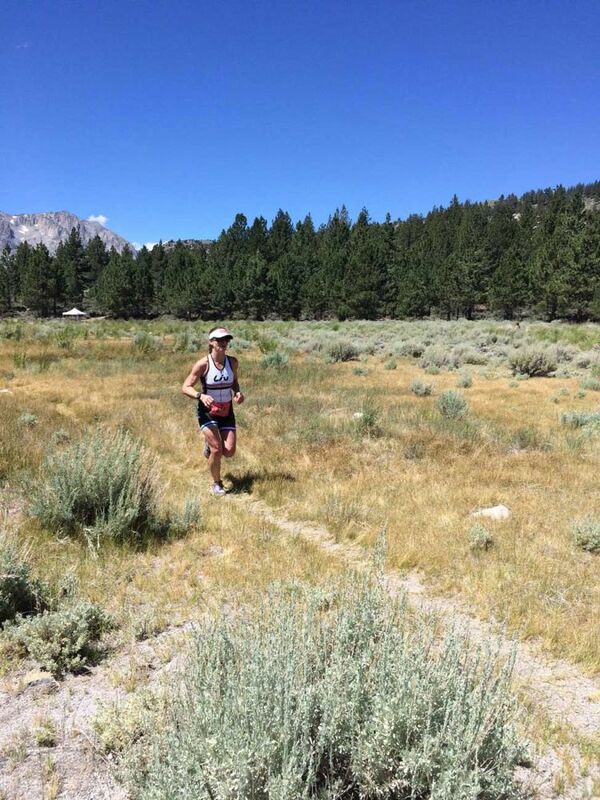 Growing up in Truckee, CA and moving to Mammoth Lakes, CA in 2002, she developed a love for the sport and all things outdoors. 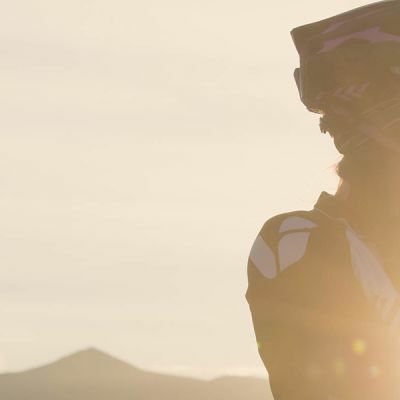 Her list of accomplishments as a snowboarder started as an amateur in slopestyle competitions at the age of 15 and continues today as she pushes the boundaries for herself and thrives in elevating the possibilities for other female riders. Over the past two years, she has been recognized by her peers for ground-breaking backcountry video segments. She was awarded Women’s Rider of the Year and Video Part of the year in 2016 and nominated again for those categories in 2017. Kimmy may be known for her ground-breaking tricks (like being the first woman to land a double backflip in both the snowboard park and the powder in 2011), but her tenacity to combat challenges (like career-threatening knee injuries), which has made her one of the most respected riders out there. 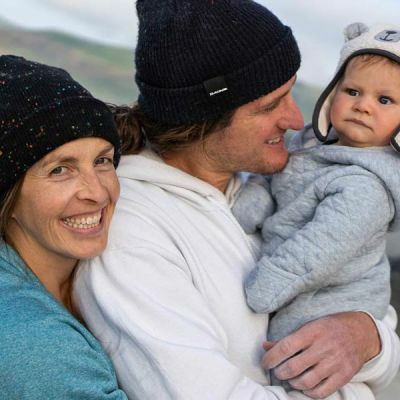 Most recently she welcomed a baby in March 2018 and has shifted the norm for professional female athletes. The thing about snow is—it melts. In the off-season, Kimmy enjoys climbing, trail running, mountain biking and road bike riding. While recovering from her knee injury in 2013, she set a goal for herself to complete a triathlon. Why? 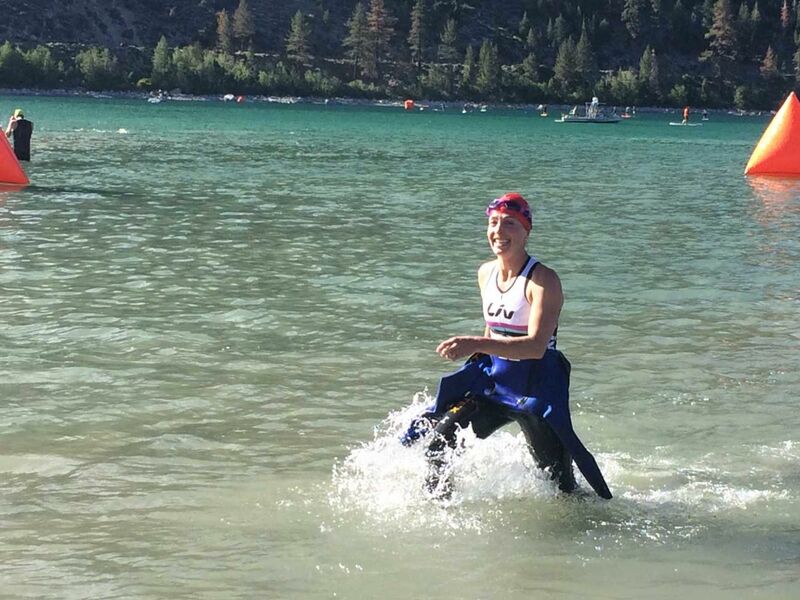 As she puts it in a blog post for BurtonGirls.com, “I figured if I could do a triathlon despite my injury, I could do anything.” On October 21, 2013, she completed her first sprint triathlon… and didn’t just complete it, she killed it! Kimmy finished first in her age group and fourth overall in the women’s division. Over the last 5 years, she has participated in two more triathlons as a relay partner, and she tackled her second full triathlon, this time: Olympic distance, where she ended up in the top 3 for her age group. What is your biggest cycling achievement? I have won my age group in a sprint distance triathlon and got top 10 in the Olympic distance triathlon in June Lake, Ca. 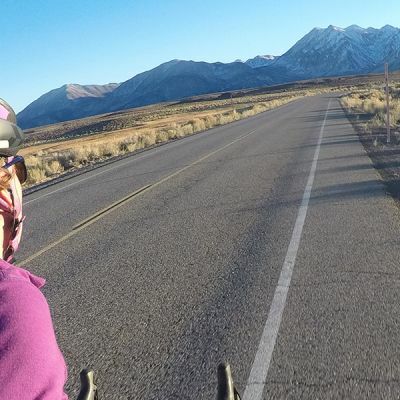 I have also done a handful of century rides in the Eastern Sierra. What is your professional goal for 2018? I am hoping to compete in the June Lake triathlon in July as part of my comeback after having a baby in March! Why do you love cycling? I love how many miles I can cover on a road bike and living in Mammoth there's so much diversity in terrain. Each ride is gorgeous and an incredible workout because of the hills and high elevation. I also love how mountain biking feels so much like snowboarding and riding powder... The workout from pedaling up makes me feel re-energized and I love the flow of the trails on the way down. Why do you love riding for Liv? I love that the bikes and gear are made for women! Each product makes me feel like I am on products that are designed for me. What is one item you would never leave home without? I never leave the home without my HokaOneOne running shoes. I love running through cities or mountains towns when I am on the road. Even if it's just a short trip, running shoes are light and the cardio helps me adapt to different time changes. If you could learn a new sport or skill this year, what would it be? I would love to get better at surfing. I love the ocean and just need to dedicate some time to get better at reading the waves. What is your favorite place to travel? I love the Eastern Sierra! No matter where I have been in the world, I always come home in awe of the mountains that surround my home. However, some of the best powder I have ever ridden is in Japan in the early season. Who are your favorite riding partners? I really enjoy riding with my husband Chris Benchetler. He's such a strong biker and athlete, so he keeps me motivated and always pushes me to ride hard on my mountain bike and road bike. How do you spend your time off the bike? I am really into rock climbing and trail running. What do you want to be "when you grow up"? I have my dream job, as a professional snowboarder. Our minds are so powerful, what you think you become... Be happy, kind, and positive.